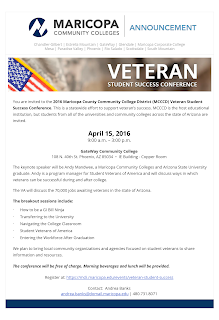 Rio Salado College | RioNews: Don't Miss 4/15 Veteran Success Conference! 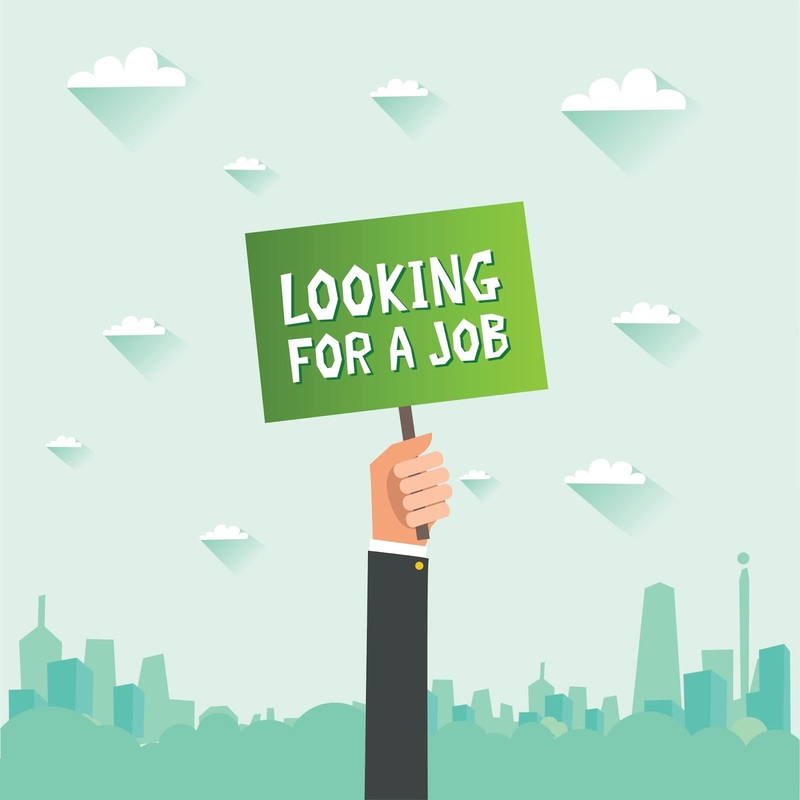 Don't Miss 4/15 Veteran Success Conference! 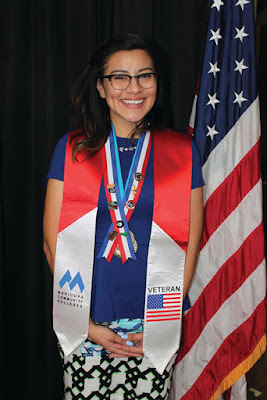 Rio Salado and the Maricopa Community Colleges are dedicated to supporting veterans as they transition out of the military and into college life! 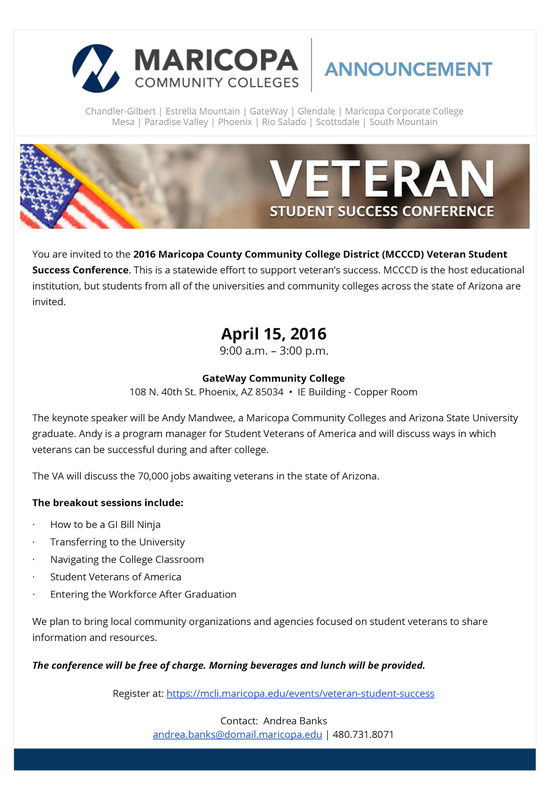 The MCCCD 2016 Veteran Student Success Conference is just one way veteran students can learn about the resources available to them-- and receive the assistance they need to succeed in a new career! The conference is free and open to students from all universities and community colleges across the state. The conference will include breakout sessions to provide attendees with success tips they can use in the classroom and on their journey to finding a new career. See related azcentral and Maricopa Matters stories about MCCCD efforts to create a statewide program to support military personnel, veterans, and their families as they move from active duty to civilian life.